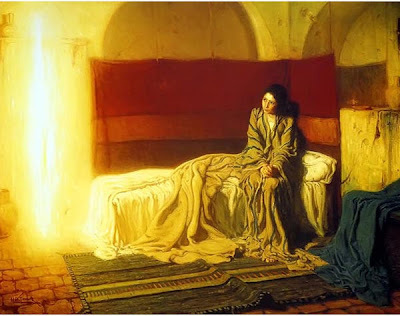 Henry Ossawa Tanner was born in Pittsburgh Pennsylvania on June 21, 1859. He was the son of a Bishop in the African Methodist Episcopal Church. Tanner’s family settled in Philadelphia when he was five years old. At thirteen while walking in his neighborhood with his father he saw an artist painting. The young Tanner was so fascinated by the process he decided to become an artist. Tanner studied on his own and with some local artists for the next seven years. 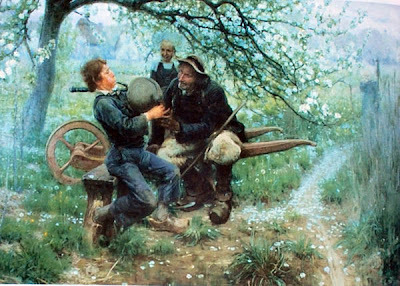 In 1880 at the age of twenty one Tanner enrolled in the Pennsylvania Academy of the Arts and studied under Thomas Eakins and Thomas Hovenden for the next five years. At the academy Eakins gave Tanner the solid training he needed in drawing and painting and Hovenden taught him to infuse his paintings with emotion and sensitivity and to paint from experience. These two complimentary approaches would serve Tanner well as he matured as an artist. Tanner left the academy before graduation in hopes of creating a successful photography gallery in Atlanta, GA. The endeavor was short lived and he sold the business and moved to the Blue Ridge of North Carolina where he sold photographs and painted. In 1890, the Hartzells, his best patrons at the time arranged a show of Tanners work in Cincinnati. When the paintings did not sell the Hartzells bought the entire collection. This sale allowed Tanner to continue his studies in Europe. 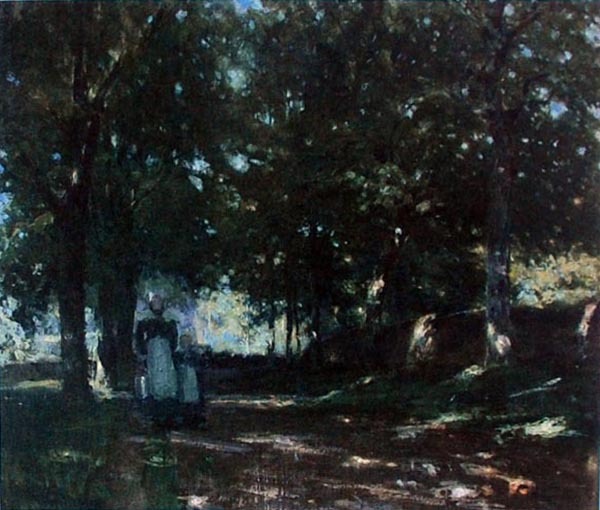 In 1891 Tanner arrived in Paris and enrolled in the Academie Julian. Here Tanner studied under Jean Paul Laurens and Jean Joseph Benjamin Constant. In the summers Tanner spent time in Concarneau in Brittany at the American art colony there. In 1894 Tanner had his painting The Banjo Lesson accepted into the Paris Salon. For the next twenty years he would have a painting accepted every year in the Salon. 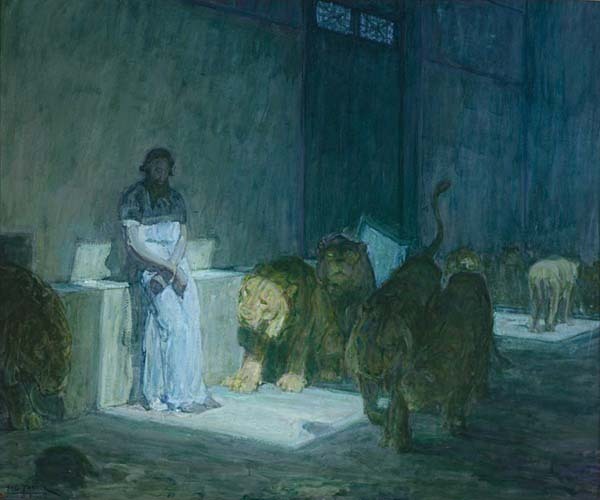 In 1895 Tanner won an honorable mention from the Salon for his painting, Daniel in the Lion’s Den. 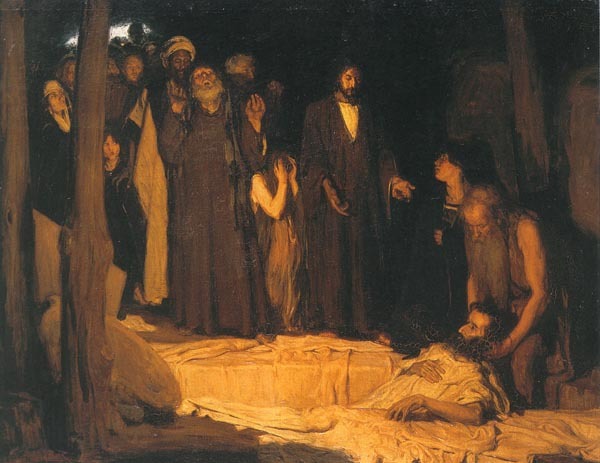 In 1897 he was awarded a third class medal from the Salon for The resurrection of Lazarus and the painting was purchased by the French Government. After 1897 Tanners work became more personal and his brushwork and color more post impressionistic. He developed a unique approach that mixed the modernism of the time with a solid academic foundation. Tanner began to explore more religious themes after his success at the Salon. He infuses a sense of place and great emotional impact in these large canvases. They have a powerful authenticity that is usually lacking in this type of subject matter. His characters are not painted as the safe clichéd blond European bourgeoisie in robes walking through candy colored gardens. 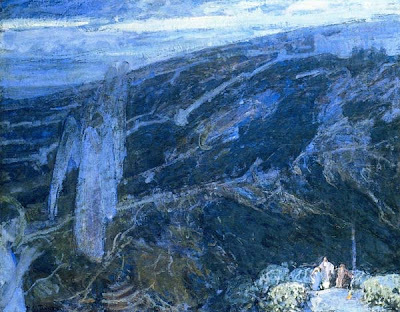 Tanner’s scenes are the real world experiencing the bibles miracles and by painting them as such they heighten the sense of the Divine for the viewer. Tanner should be remembered as a great American painter for his accomplishments as an artist but it is also the courage it took for him to achieve his success as an African American man at the end of the nineteenth century that stands out from other painters of that time. Wherever he travelled in America he was controlled by the separate but equal laws of the time, especially in the southern states. The Pennsylvania Academy accepted him on the strength of his work but then delayed his entrance when they found out his race. He constantly suffered racial attacks by other students of his class at the Academy. Joseph Pennell was part of a group of racist students that tied Tanner to his easel and then left him outside in the middle of the street when Tanners ability quickly began to eclipse theirs. He constantly fought to be recognized for his ability alone and to eschew being tied to any type of racial style or aesthetic. His treatment in America was severe enough that he lived most of his life in France. 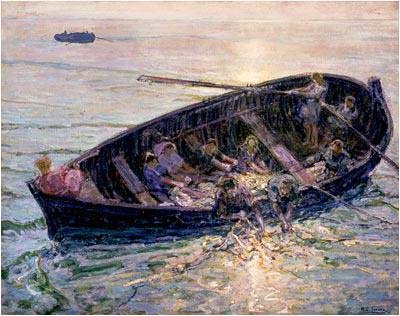 Henry Ossawa Tanner died in Paris, France in 1937. I did not realize at the outset Mr. Tanner was African-American; it was chilling to read about his mistreatment, at the hands of fellow artists- shameful. What a great talent! Thank you so much for posting this. I had the honor of seeing the "Daniel in the Lion's Den" piece last week. I have some hi-res images of it if you would like. Again, thank you, this is my favorite post. I love his work. He was keeping it real. His painting "Sand Dunes at Sunset, Atlantic City" hangs in the White House at the moment. Thanks for posting this, Armand. Yes, that is truly wonderful. Great post! Thanks for all the comments. I attended th exhibition of Tanners work in the 90's. The show had over 100 works on display, many of them 30×40 or larger. The paintings are powerful and moving, especially the religious themes. Armand, where did you get the artist quote from? Great article, by the way. The quote is from the monograph on Tanner listed in the bibliography. Thanks for asking.